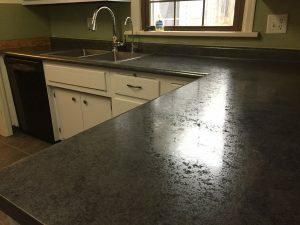 GREAT UPDATE! 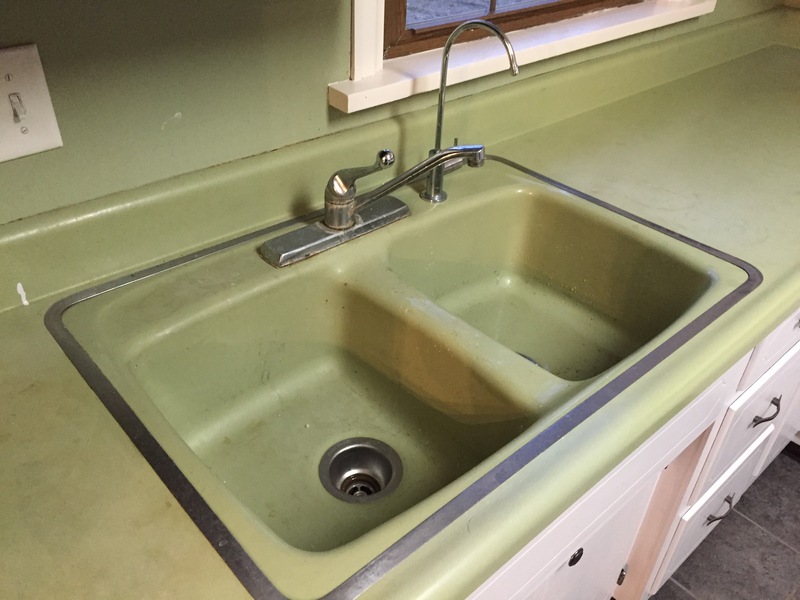 Sometimes cabinet replacement is not in the budget, but it’s nothing that can’t be solved with new counter tops, sink, faucet, and a little paint. 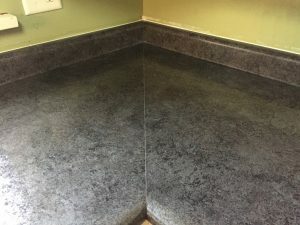 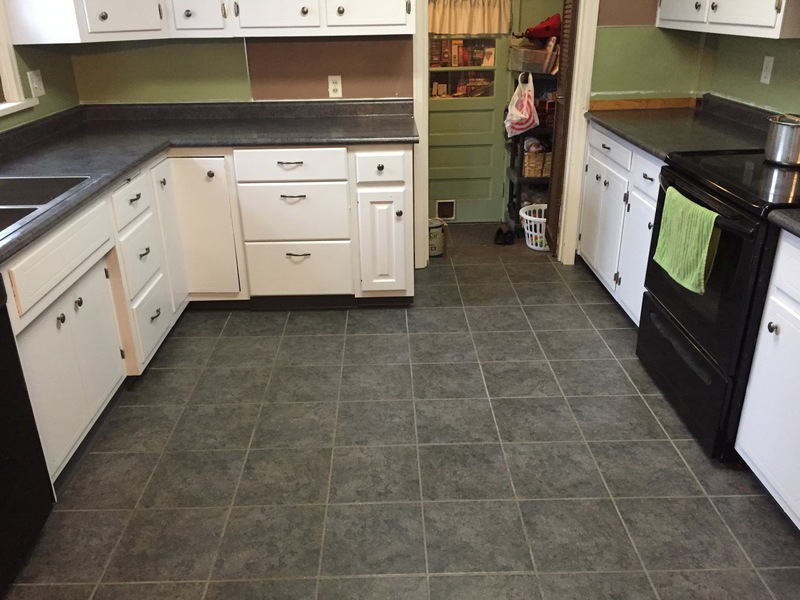 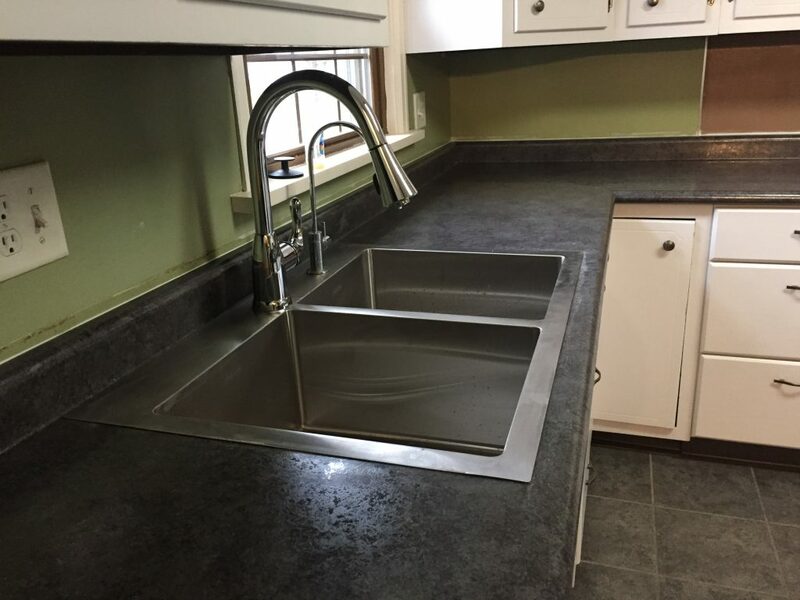 This kitchen received new high resolution laminate counter tops (Deepstar Slate) with European style edge. 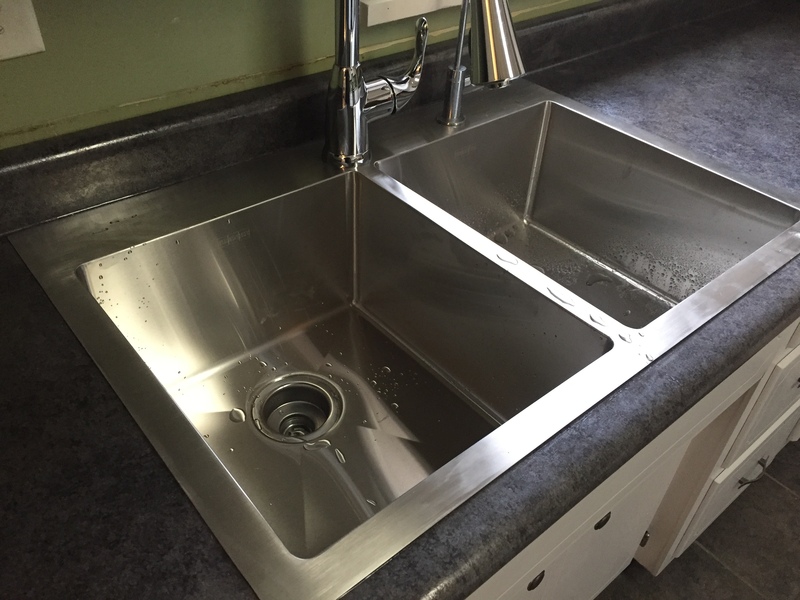 The double stainless sink is a solid 18 gauge model by Franke, and the faucet is a Glacier Bay. Cabinets were painted white by the homeowner, and I installed some mop guard along the front. 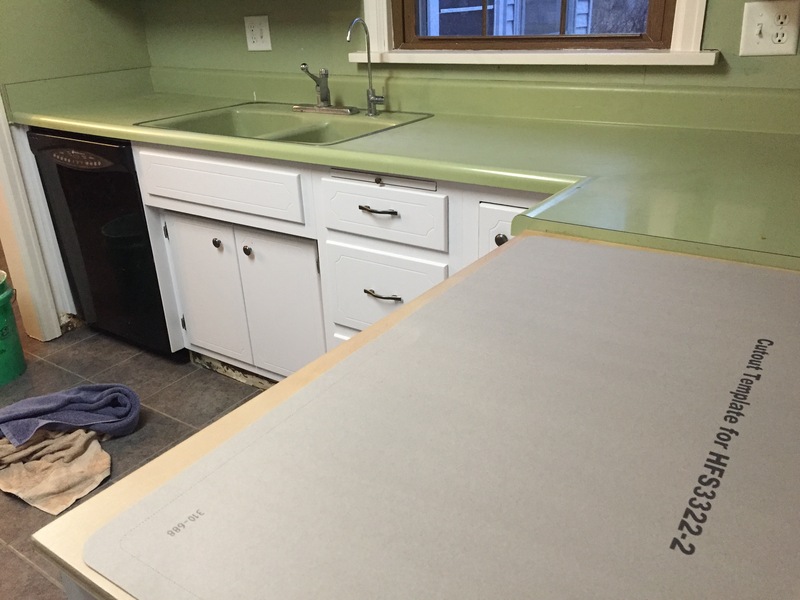 In the near future, the homeowner is considering a tile backsplash to tie it all together – nice! 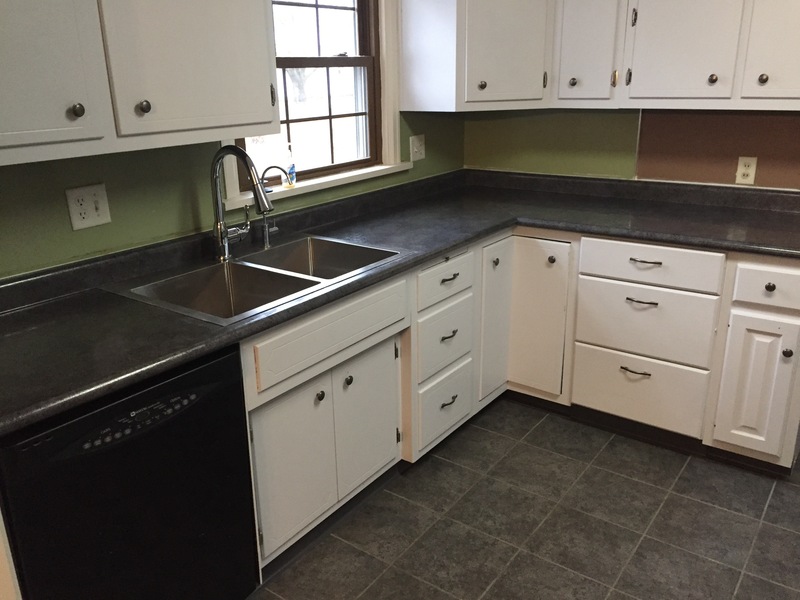 All in all, this kitchen looks great, and at a minimal cost! 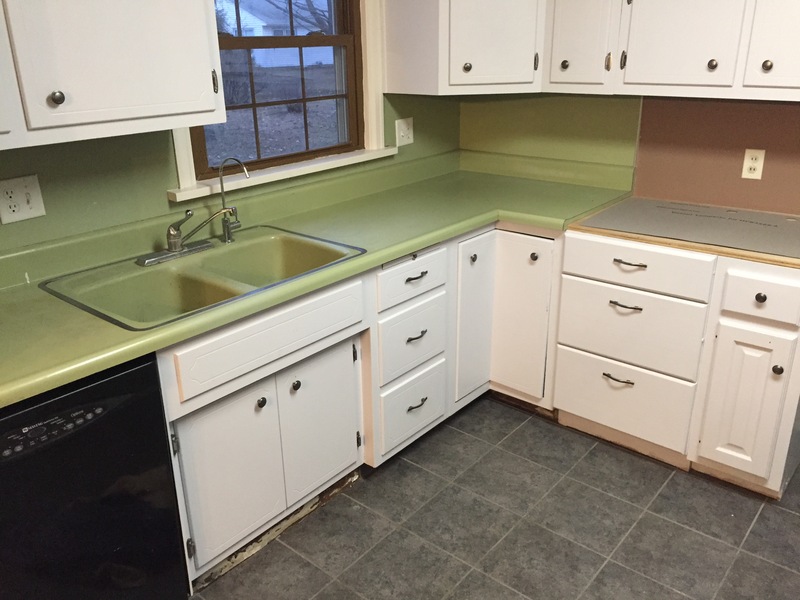 Let me know if I can update your kitchen in any way – 419-212-3200.